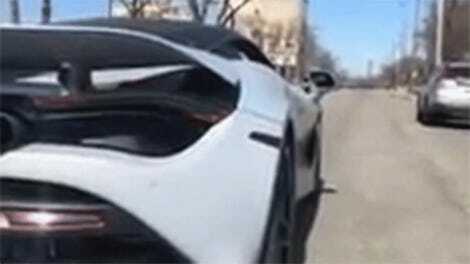 If it looks like part of that Lamborghini Huracán was on fire at some point, it’s because it was. Luckily, the fire has since been put out and all is (relatively) right again in the world. 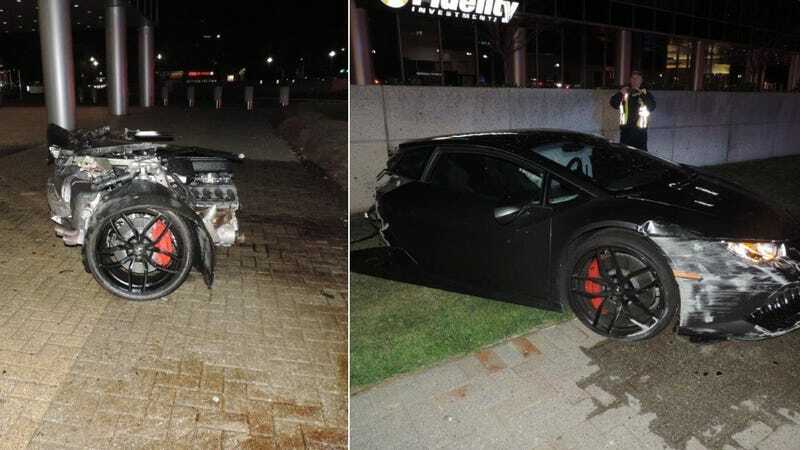 Last Friday night, the black Lamborghini crashed into a concrete light pole in Northern Virginia and split in half, its rear end separating quite cleanly from the rest of the body. The back half caught fire, but was put out by the Fairfax County Fire and Rescue Department. It reports via Twitter that one person, the driver, was treated for minor injuries. It’s unclear exactly how fast the driver was going, but it must have been pretty fast if the rear end detached completely from the front during the collision. In any case, we’re glad nobody else was hurt and that the fire was put out before anything worse could happen. Lamborghini Huracáns seem to have a tendency to split in half when they crash into things at a high enough speed. It’s unclear if they were designed to do this, though.